Racial equity isn’t just good for society; it makes good business sense, too. Last week, the Alturam Institute, funded by the W.K. 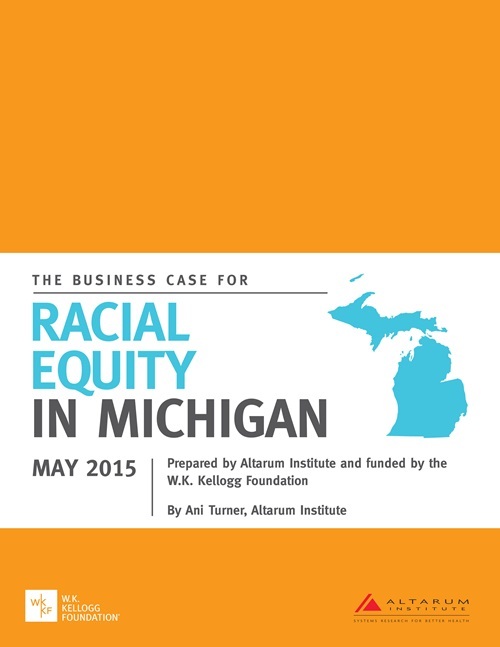 Kellogg Foundation, released a compelling case for racial equity in the marketplace (May 2015). This means healthier workers representing lower insurance costs for employers as well as higher productivity. A more educated workforce is also an asset in an increasingly knowledge-based economy. And a diverse workforce positions you better in our global economy. Traditional employment practices and policies have not developed the strong, diverse workforce most businesses desire. Inclusive Performance Strategies is ready to partner with you to harness your business’ potential through the power of inclusive strategies and policies. Our best practices will help you gain a competitive edge in today’s changing global market through understanding how your mission can be linked to promoting a more diverse and inclusive workforce. If business leaders work together towards these goals, the state as a whole will experience a surge in economic vitality and growth. It takes a multi-faceted approach towards business, health, education and government, to name a few, to make strides towards racial equity in Michigan. Consider joining us in this work.